The language of finance can be insidious. Words like leverage and concepts like diversification can morph from narrow financial terms into much more general ways of understanding the world. For students that go into finance or business, the idea of “optionality” is particularly pliable—and taken too far, it can be downright dangerous. I’ve lost count of the number of students who, when describing their career goals, talk about their desire to “maximize optionality.” They’re referring to financial instruments known as options that confer the right to do something rather than an obligation to do something. For this reason, options have a “Heads I win, tails I don’t lose” character—what those in finance lovingly describe as a “nonlinear payoff structure.” When you hold an option and the world moves with you, you enjoy the benefits; when the world moves against you, you are shielded from the bad outcome since you are not obligated to do anything. Optionality is the state of enjoying possibilities without being on the hook to do anything. For new graduates, working at a consulting firm creates optionality because of the broad exposures (to industries and companies) and skills these firms purportedly develop. Going to graduate school creates optionality by enabling more opportunities than a narrow professional trajectory can provide. Working at prestigious firms and developing social networks are similarly viewed as enabling more choices and more optionality. And of course, the more optionality, the better. In contrast, the closing of doors and possibilities signals the loss of optionality. This language doesn’t only apply to career planning: Don’t be surprised to hear someone in finance talk about marriage as the death of optionality. This emphasis on creating optionality can backfire in surprising ways. Instead of enabling young people to take on risks and make choices, acquiring options becomes habitual. You can never create enough option value—and the longer you spend acquiring options, the harder it is to stop. This individual has merely acquired stamps of approval and has acquired safety net upon safety net. These safety nets don’t end up enabling big risk-taking—individuals just become habitual acquirers of safety nets. The comfort of a high-paying job at a prestigious firm surrounded by smart people is simply too much to give up. When that happens, the dreams that those options were meant to enable slowly recede into the background. For a few, those destinations are in fact their dreams come true—but for every one of those, there are ten entrepreneurs, artists, and restaurateurs that get trapped in those institutions. Of course, this is not a pitiable outcome. And in fact, maybe those serial options acquirers are simply masking a deep risk aversion that underlay their affinity for optionality. Even if not explicitly stated, optionality was always the end rather than a means to an end. In fairness, these optionality-obsessed professionals often wind up happier than the other type I’ve become accustomed to seeing in my office: the lottery ticket buyers. These individuals are just one payday away from securing the resources they need to begin their work toward their true ambition, be it political, civic, or familial. They believe that one Silicon Valley startup or one stint at a hedge fund will allow them to begin their true journey. While the serial option and lottery ticket buyers seem like different creatures, they are, in fact, close cousins. Both types postpone their dreams and undertake choices that they think will enable their dreams. But they fail to understand that all of these intervening choices will change them fundamentally—and they are, in fact, the sum total of those choices. The shortest distance between two points is reliably a straight line. If your dreams are apparent to you, pursue them. Creating optionality and buying lottery tickets are not way stations on the road to pursuing your dreamy outcomes. They are dangerous diversions that will change you. By emphasizing optionality, these students ignore the most important life lesson from finance: the pursuit of alpha. Alpha is the macho finance shorthand for an exemplary life. It is the excess return earned beyond the return required given risks assumed. It is finance nirvana. But what do we know about alpha? In short, it is very hard to attain in a sustainable way and the only path to alpha is hard work and a disciplined dedication to a core set of beliefs. Given the ambiguity over the correct risk-adjusted benchmark, one never even knows if one has attained alpha. It is the golden ring just beyond your reach—and, one must enjoy the pursuit of alpha, given its fleeting and distant nature. Ultimately, finding a pursuit that can sustain that illusion of alpha is all we can ask for in a life’s work. So, give up on optionality and lottery tickets and go for alpha. Our elite graduates need to understand that they’ve already been winners in the lottery of life—and they certainly don’t need any more safety nets. 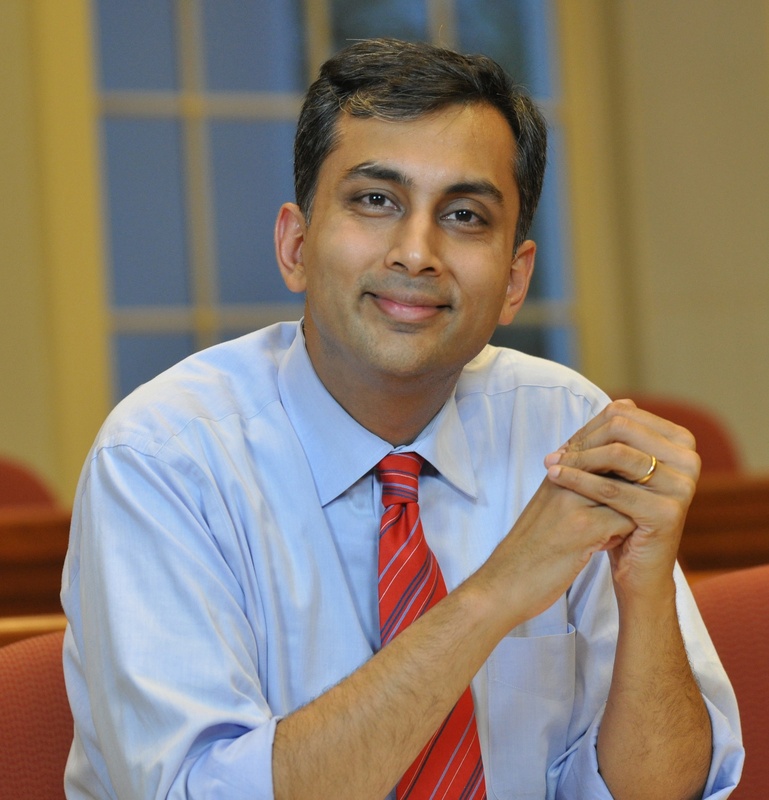 Mihir A. Desai, a M.B.A. graduate of Harvard Business School and a Ph.D. graduate of the Graduate School for Arts and Sciences, is the Mizuho Financial Group Professor of Finance at Harvard Business School and a Professor of Law at Harvard Law School. He recently published “The Wisdom of Finance: Discovering Humanity in the World of Risk and Return”.